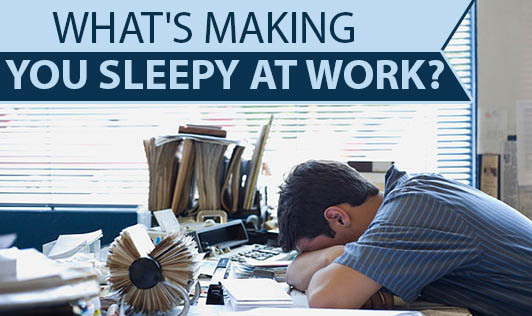 What's Making You Sleepy At Work? Do you feel sleepy at your workplace? Could it be any other reason apart from lack of sleep? The most common reason for sleepiness during the day is reduced number of hours of sleep the previous night. Other reasons for day time sleepiness are jet lag, change in work shift or poor quality sleep at night. Whatever may be the cause for poor sleep, make sure you rectify the problem early. Lack of sleep can trigger a series of health problems.